Novel antimatter experiments at CERN require high intensity, low energy (<100 keV) antiproton beams. Each experiment has a set of desirable beam parameters. To achieve this, and obtain the greatest efficiency, transfer lines will be based on electrostatic optics. Unfortunately, only a small amount of simulation codes allow realistic and flexible implementation of such elements. 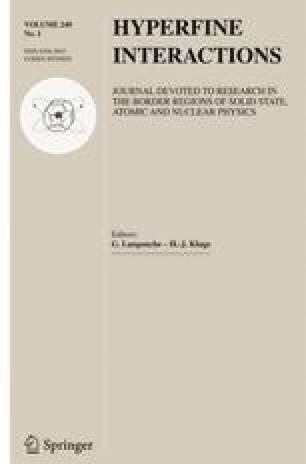 In this contribution, methods for accurately creating and tracking through electrostatic optical elements are presented, utilising a combination of a modified version of G4Beamline (Roberts and Kaplan 2007) and finite element methods (FEM). To validate our approaches the transfer line from the ELENA (Chohan et al. 2014) ring to the ALPHA experiment was chosen as a basis for particle tracking studies. A range of approaches to modelling the electrostatic elements were explored, ranging from simple field expressions, to the complex field maps used in the final model. An investigation into the achievable beam quality at ALPHA is presented. We would like to thank our friends and colleagues at CERN for their helpful input and collaboration.